It’s no secret that I enjoy a good Vanilla Chai. I enjoy a good Vanilla Chai so much I had to figure out a way I could prepare my own Vanilla Chai at home (using TAZO, of course) for those days I couldn’t swing by the local coffee shop. Now, TAZO® is making it easier than ever to enjoy those sweet and spicy chai flavors with their new TAZO® Chai Latte K-Cup® pods. There are currently two flavors of TAZO® Chai Latte K-Cup® pods: chai classic latte K-Cup® pods and chai vanilla caramel latte K-Cup® pods. Both flavors are a two part K-Cup® drink that combines a sweetened dairy packet with a Chai Latte K-Cup® pod to create a creamy chai blend that is infused with spices. 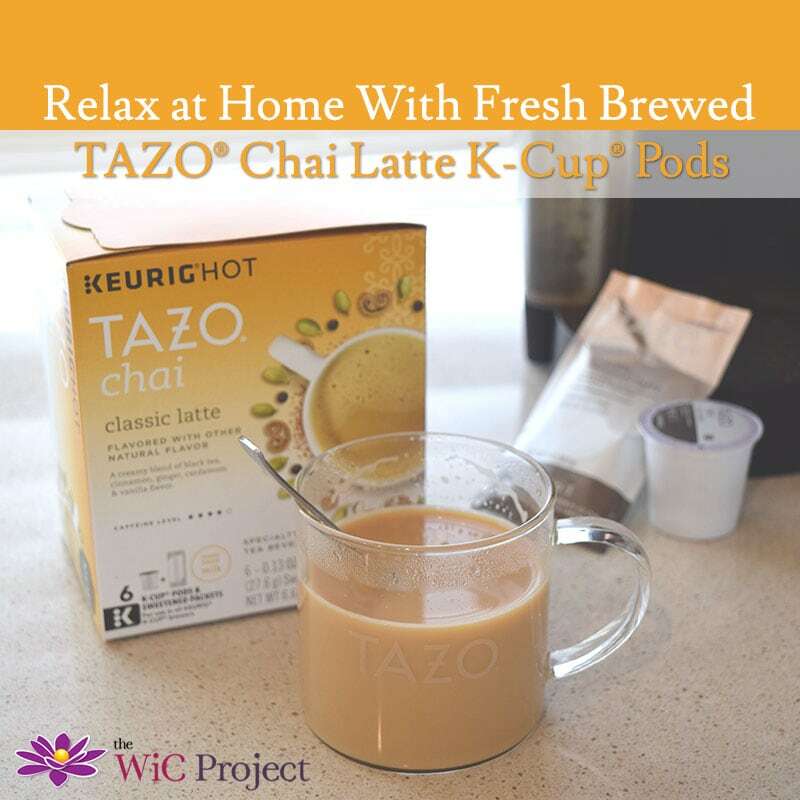 To relax at home with freshly brewed TAZO® Chai Latte, just pour one of the sweetened dairy packets into an empty cup, then brew a latte tea blend pod using the 8-oz setting on your Keurig®. Give it a few stirs after brewing and enjoy! 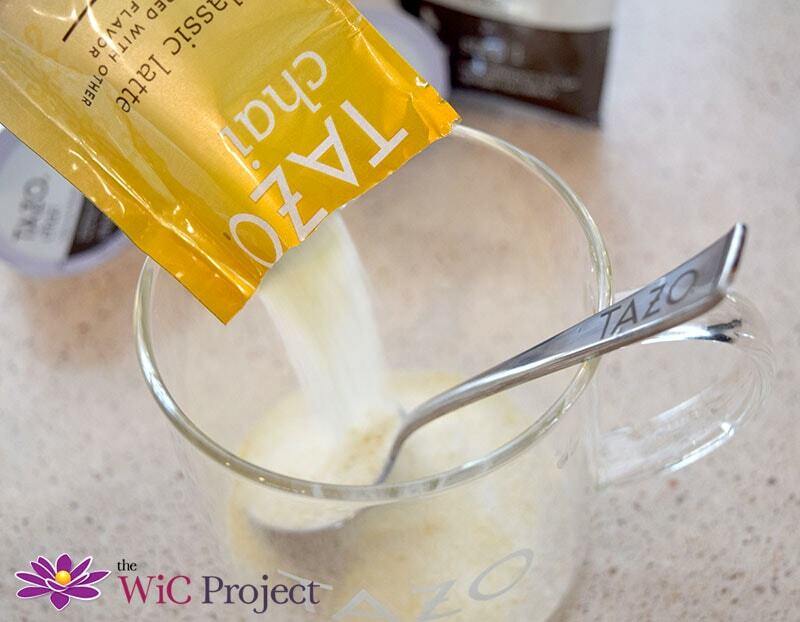 Here’s a video of our first TAZO® Chai Latte K-Cup® Pod being brewed. The fragrance of the spices really comes out as the latte is brewing. To celebrate the flavors of chai with the new TAZO® Chai Latte K-Cup® pods, TAZO has partnered with New York Times Bestselling author and host Padma Lakshmi to create some delicious recipes that pair with a cup of TAZO® Chai Latte. Get Padma’s recipes for sugar & cinnamon chips, cinnamon tea cookies, and more perfect pairings at TAZO.com/chai. 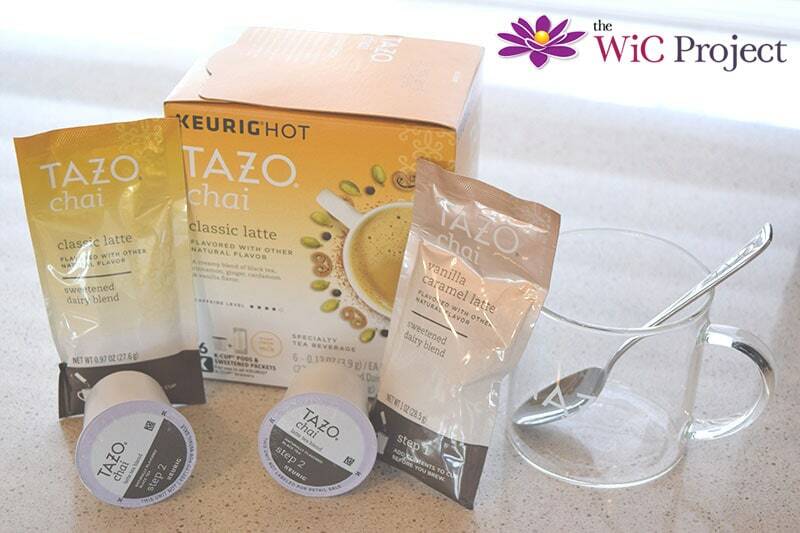 Visit TAZO.com/wheretobuy to find where you can pick up TAZO® Chai Latte K-Cup® pods. You can also get TAZO® Chai Latte K-Cup® pods on Amazon.com. sounds delicious! so nice to be able to make at home, too! Definitely. The nearest Starbucks is 20 minutes away so it’s much more convenient!